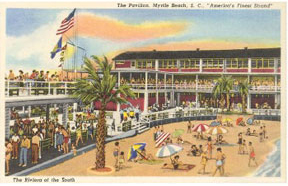 Make up the Grand Strand. 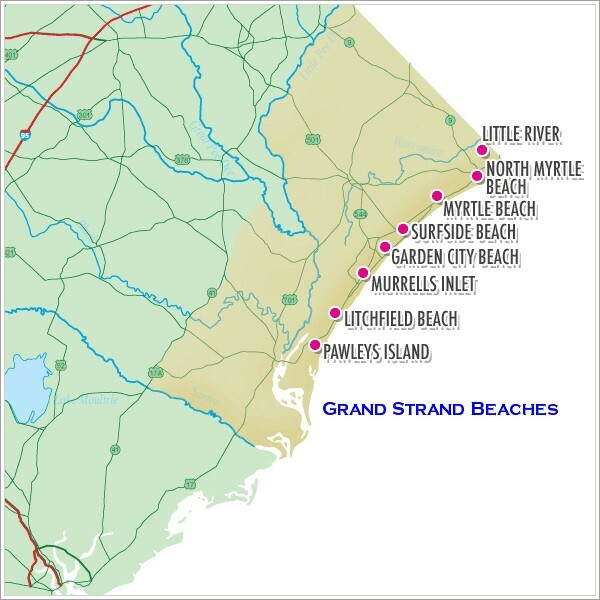 It's 60+ miles of an uninterrupted arc of beach, beginning around Little River, South Carolina and terminating at Winyah Bay near Georgetown. 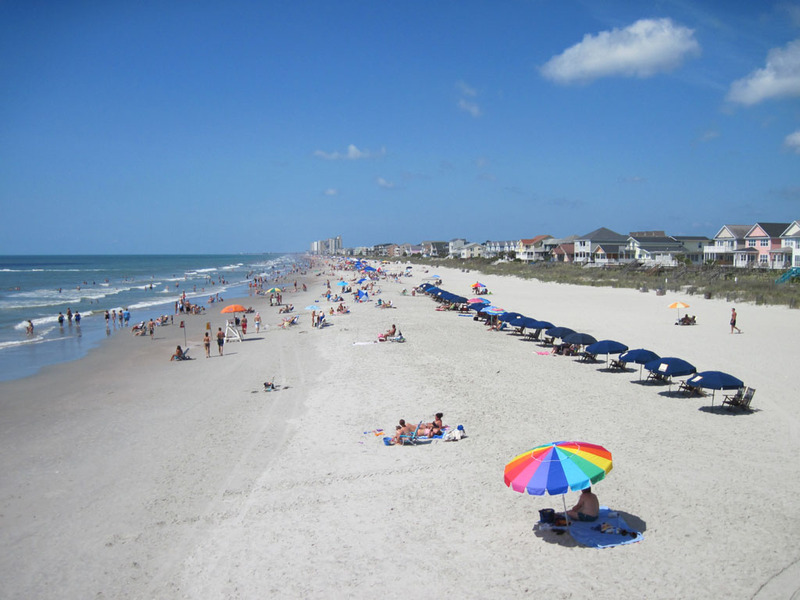 Surfside Beach, almost in the middle of the Grand Strand, is known as "The Family Beach." 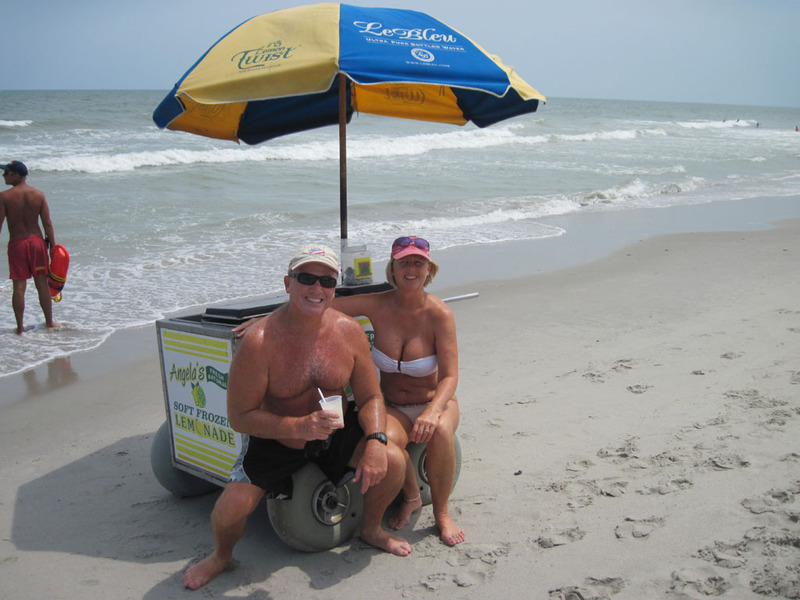 Travel Channel has named Myrtle Beach and the Grand Strand one of the best beaches on the East Coast. As waves travel from deep to shallow water, they will break near the shoreline. When waves break strongly in some locations and weakly in others, this can cause circulation cells which are seen as rip currents: narrow, fast-moving belts of water traveling offshore. 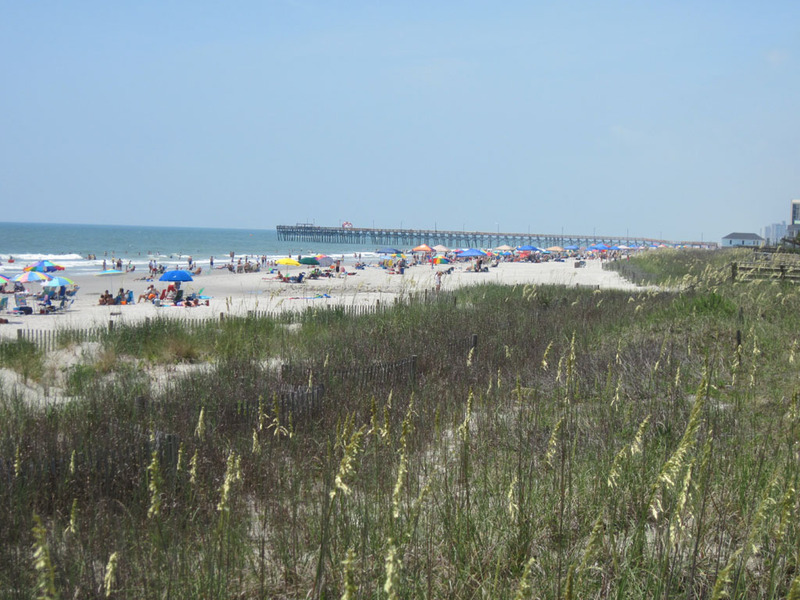 Rip currents are the leading surf hazard for all beachgoers. They are particularly dangerous for weak or non-swimmers. Rip current speeds are typically 1-2 feet per second. 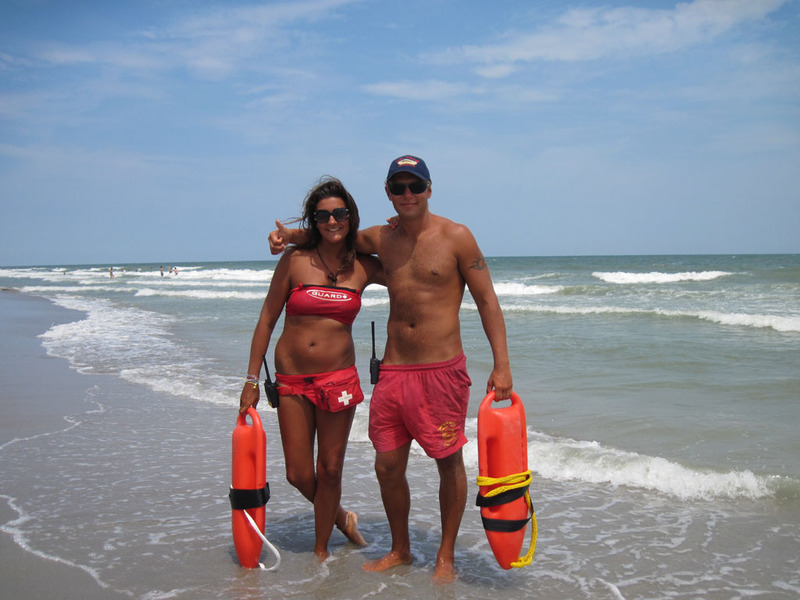 Over 100 drownings due to rip currents occur every year in the United States. 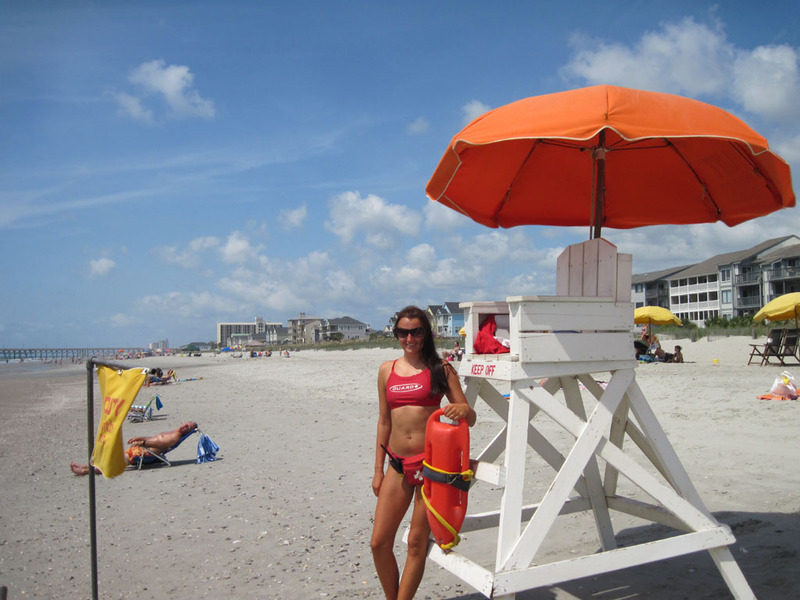 More than 80% of water rescues on surf beaches are due to rip currents. 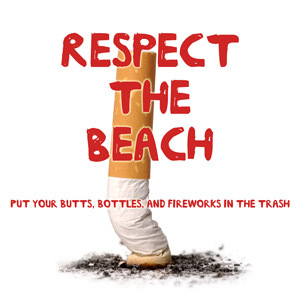 Rip currents can occur at ANY surf beach with breaking waves. 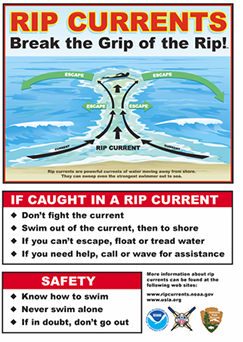 Rip Currents are most likely to be dangerous during high surf conditions as the wave height and wave period increase. There are over one million new cases of skin cancer diagnosed in the U.S. each year, outnumbering all other cancers combined. Extra caution is needed at the beach. Generously apply sunscreen to all exposed skin using a Sun Protection Factor (SPF) of at least 15 that provides broad-spectrum protection from both ultraviolet A (UVA) and ultraviolet B (UVB) rays. Re-apply every two hours, even on cloudy days, and after swimming or sweating. Also, be sure to use an adequate lip balm regularly.